As I was waking up Tuesday morning, my wife informed me that she had received a Twitter message from our pastor containing a link that was, how should I say this, less-than-Christian. After she sent a text message alerting him of the situation, I replied via Twitter Direct Message from both my personal account and the church’s Twitter handle (Which I have access to, but don’t regularly tweet from). Then I went about getting ready for my day. By the time I was done taking a shower, he had responded via Twitter to thank me for letting him know about the situation and that he was able to successfully stop the rogue tweets from continuing to spread. Do you know how to protect yourself if your Twitter account becomes compromised and uninvited auto-tweets are being sent out on your behalf and being clicked by your friends? Step one- Check to see if any twitter messages have been sent out to your friends either through public tweets or direct messages. 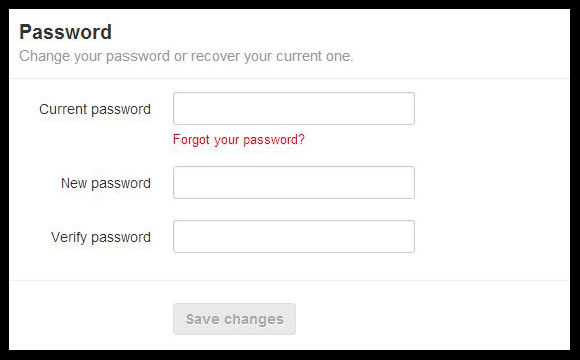 Step two- Immediately set about changing your password. 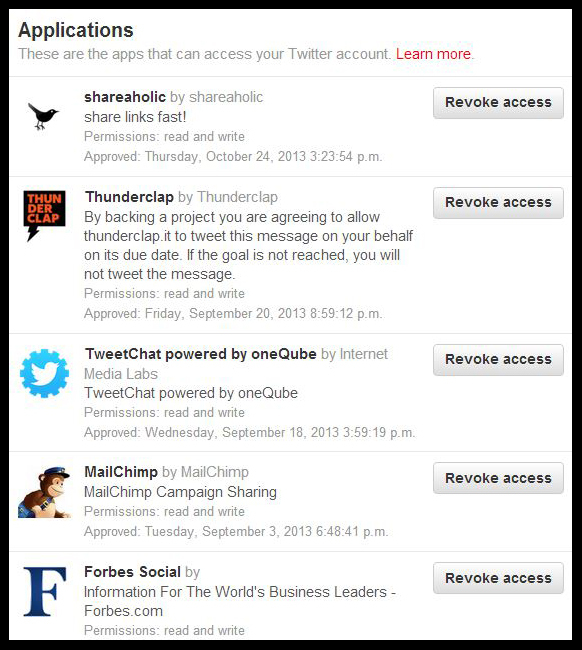 Make sure you do this as soon as possible to prevent any more tweets from being sent out from your Account. Step three- Check your third party application (Find yours HERE) for any unfamiliar accounts that may have accessed your twitter profile when you downloaded a new game, or new app, or participated in any other type of online activity. (Optional) Step Four- Delete undesirable messages and tweet apologies to your friends who may have fallen victim to the deception. That should stop the sinister tweets from happening. If there are any more problems with your twitter account please contact the people at twitter.com or contact me at McGirr Enterprises. A) One way to avoid ever being in the situation where you need to take these kinds of actions is to be vigilant about where you log-in using your Twitter profile. 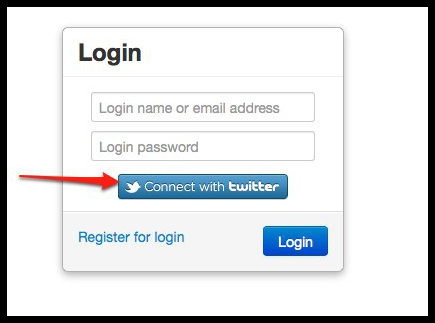 Giving your Twitter password to unfamiliar, less-than-trusted sites or mobile apps, can provide access for these types of insidious programs to infiltrate your account and temporarily soil your good name. B) Another good way to avoid this situation is to question links from friends. If it seems fishy, inquire as to the validity of the link. I often ask friends if they actually sent the tweet. They never get offended when I ask. Most of my online friends are familiar with this type of situation and have most likely been a victim themselves at some point and would ask me the same question if I sent them a dubious link, especially via Direct Message. Pro Tip: If you only have one twitter account, create a second (Or volunteer to tweet for your Church or a nonprofit) and connect the two accounts by having them follow each other. 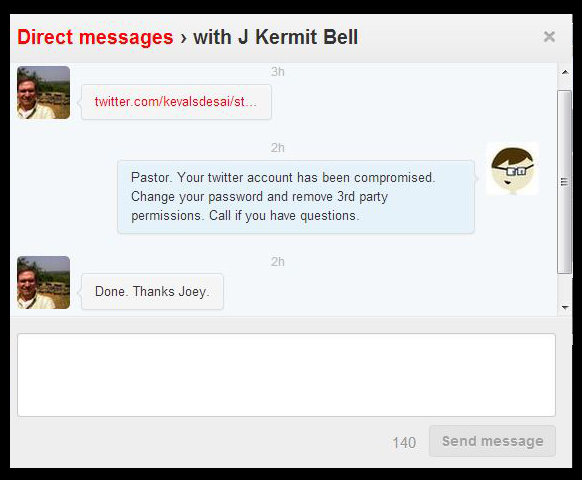 When the one that is compromised auto-DM’s the other, you will know what to do. This is a great early warning system that has really helped me in the past. I hope it helps you in the future. This entry was posted in #WhyGuy, Knowledge & Skills, Social Media, Strategy, Tools and Methodology and tagged Austin, GTAustin, Quick Fix, Social Media, strategy, twitter. Bookmark the permalink.